Providing you the best range of edible oil pouch packing machine, linear bottle filling machine, oil packaging machinery, oil pouch packing machine, packaged drinking water filling machine and shampoo pouch packing machine with effective & timely delivery. 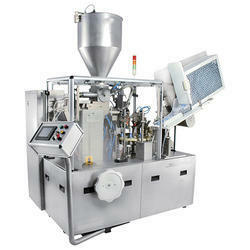 We are introducing heavy duty Edible Oil Pouch Packing Machine for 50 ml 1000 ml. 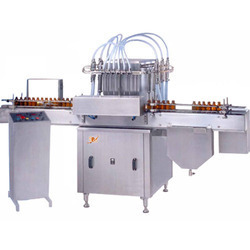 Machine is used to fill and seal the pouch for all kind of edible oil, ghee, milk, buttermilk, mango juice etc.Edible Oil Packing Machine offeredfinds application in meeting the packaging needs of edible oil. Featuring use of quality component support, these machines are based on modern technology support and are made to undergo stringent tests so as to ensure their delivering optimum performance. Some of the different types of edible oils the system can pack include mustard oil, sunflower oil, palm oil, coconut oil, groundnut oil and others. 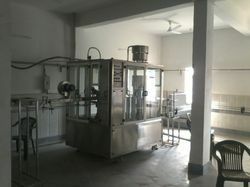 Some of its features include capability to pack oil in packaging from 200 ML to 1000 ML, provides for center sealing support to packaging of different widths and lengths, volumetric pump filler type feeding system support and others. Liquid filling machine is perfect designed for filling water, Juice, syrup, oil, flavored water, Ghee, Butter Milk with flavour. Special Liquid like milk and ghee etc. Performing operations washing, filling, capping and labelling. 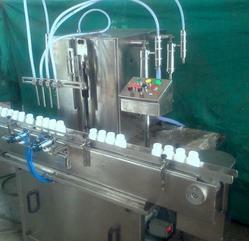 Oil packaging machine is used to fill viscose liquid such as edible oil, hair oil, ghee, mustard oil, machine oil etc. we can fill 50 ml to 1000 ml. This machine is suitable for packing edible oil, machine oil, hair oil etc.we are providing heavy duty oil pouch packing machine for edible oil. in this machine we can fill 100 ml to 1000 ml oil. Machine is available in centre seal and side seal option.Our organization provides a comprehensive array of Oil Pouch Packing Machinethat have attracted various national and international clients to place bulk orders. These are offered at industry leading prices. Our range is appreciated for its high performance, durability and reliability. These have easy installation and maintenance features and are carefully designed, tested and factory assembled. Further, these are made of superior quality raw material, designed and developed by experienced engineers. They can also be customized as per client specifications. We are offering Packaged Drinking Water Filling Machine to our clients.We are a noteworthy organization to offer an innovatively designed range of Packaged Drinking Water Filling Machine. Ideal for usage in processing bottled mineral waters, this water plant is provided in numerous stipulations accordingly with client’s needs. Offered water plant is developed by quality material keeping in mind the quality norms. Our water plant is demanded among our customers for its flawless finish. We are providing automatic liquid packing machine in which we can fill shampoo, toilet cleaner, liquid shop etc.With hard work and sincerity of our professionals, we have carved a niche for ourselves in this field by offering Shampoo Pouch Packing Machine. Under the supervision of our qualified professionals, the offered machine is manufactured from the premium quality components and innovative technology. This machine is widely acclaimed in the market for its features like excellent performance and less maintenance by our clients. Also suitable for packaging viscous liquids like sauce, oil etc. 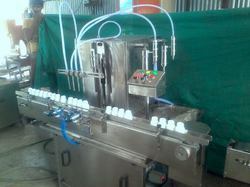 we are providing heavy duty oil pouch packing machine for edible oil. in this machine we can fill 100 ml to 1000 ml oil. Machine is available in centre seal and side seal option.Our organization provides a comprehensive array of Oil Packing Machine that have attracted various national and international clients to place bulk orders. These are offered at industry leading prices. Our range is appreciated for its high performance, durability and reliability. These have easy installation and maintenance features and are carefully designed, tested and factory assembled. Further, these are made of superior quality raw material, designed and developed by experienced engineers. They can also be customized as per client specifications. We are offering Tube Filling Machine to our clients. Power Consumption 2.5 kW Max.